0m:00s – 3m:15s: Intro to the show and sponsor shoutout: Little Zee Productions! 26m:03s – 40m:00s: Interview with producer Victoria Burkhart (@Vicburkhart) and writer/ director N’Cee Van Heerden (@Nceevh) from the film “OI”. 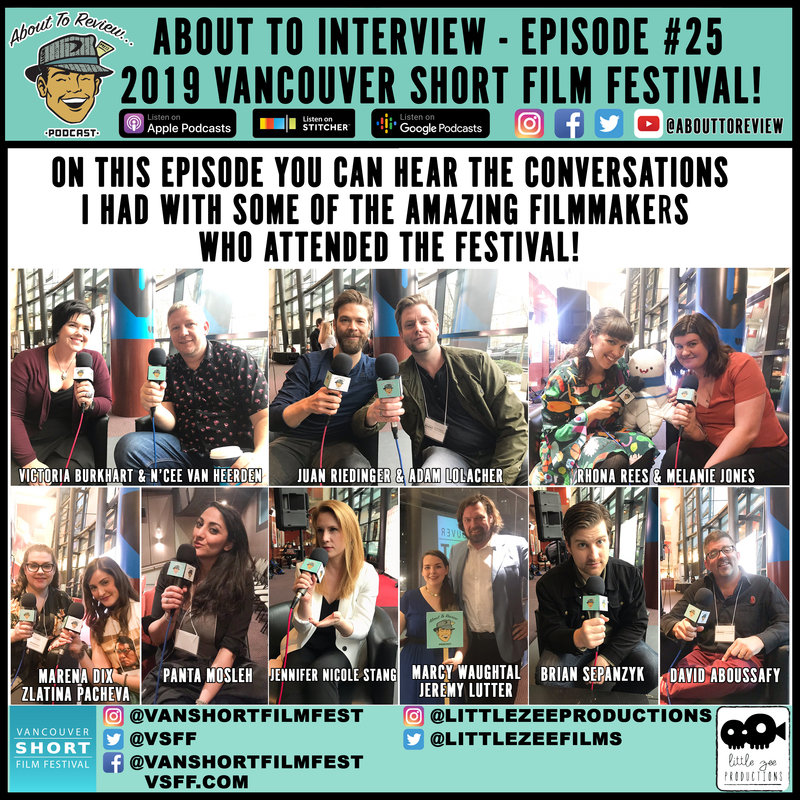 1h:09m – 1h:20m: Interview with director Jennifer Nicole Stang (@La_Yeni) from the film “The Whistler”. 1h:20m – 1h:32m: Interview with Brian Sepanzyk (@Briantologist) from the film “Compulsion”. 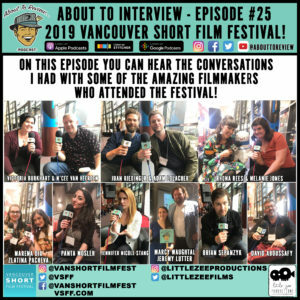 1h:32m – 1h:51m: Interview with writer Marcy Waughtel and director Jeremy Lutter (@JeremyLutter) from the film “Giltrude’s Dwelling”. 1h:51m – 2h:00m: Interview with writer/ producer/ actor/ director Panta Mosleh (@PantaMosleh) from the film “Pass The Salt”.